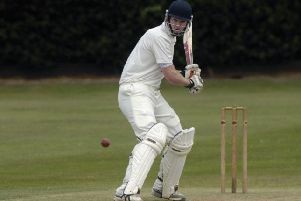 Follifoot lost out in their top-of-the-table clash with Otley, going down by eight wickets on home soil. Paul Angove’s men went into Saturday’s game second in the standings having won five of their first six fixtures since promotion back into the Airedale & Wharfedale League’s top flight. They were to come unstuck at the hands of the Division One leaders, however, limping to 114/9 batting first in a match reduced to 30 overs per side due to rain. Istikhar Hussain top-scored with just 26 for the hosts, while James Orton contributed 20. Otley then eased to 116/2 inside 20 overs despite Yasar Ali snapping up a couple of wickets, dropping Follifoot down one place to third. 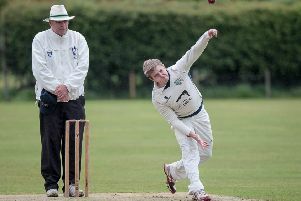 Things went from bad to worse for defending champions Beckwithshaw, who now find themselves propping up the division after a five-wicket reverse at the hands of Guiseley, the team that began the weekend bottom of the pile. Oli Hotchkiss (37) and captain Ross Sedgley (34) were the only batsmen to show for ‘Shaw, not one of their team-mates even managing to make it into double-figures in their total of 111 batting first. Guiseley did slump to 45/4 in response as Cameron Bradley grabbed 2-28 to give his side hope, but the hosts eventually made it over the line at 113/5. Bilton’s home meeting with North Leeds fell foul of the weather and Ryan Bradshaw’s troops’ inactivity sees them drop back into the bottom two due to fellow strugglers Guiseley’s 18-point haul. In Division Two, Collingham & Linton returned to winning ways when they crushed title-chasing Tong Park Esholt away from home. Half-centuries by Charlie Swallow (61), Ed Hayhurst (54) and Nishant Desai (52) saw the visitors post 212/6 in 40 overs. Swallow then completed a superb afternoon’s work by getting rid of half a dozen Tong Park batsmen on his way to a fine return of 6-37. Toby Jacklin was also in typically destructive form with the ball, helping himself to a trio of wickets at the cost of only five runs as the hosts were sent on their way with just 92 on the board. Victory for Collingham sees them leap up to third position, just 12 points shy of a promotion spot.